I made these 2 pictures to expand on the earlier one posted. This one includes the 4 Absolutes. 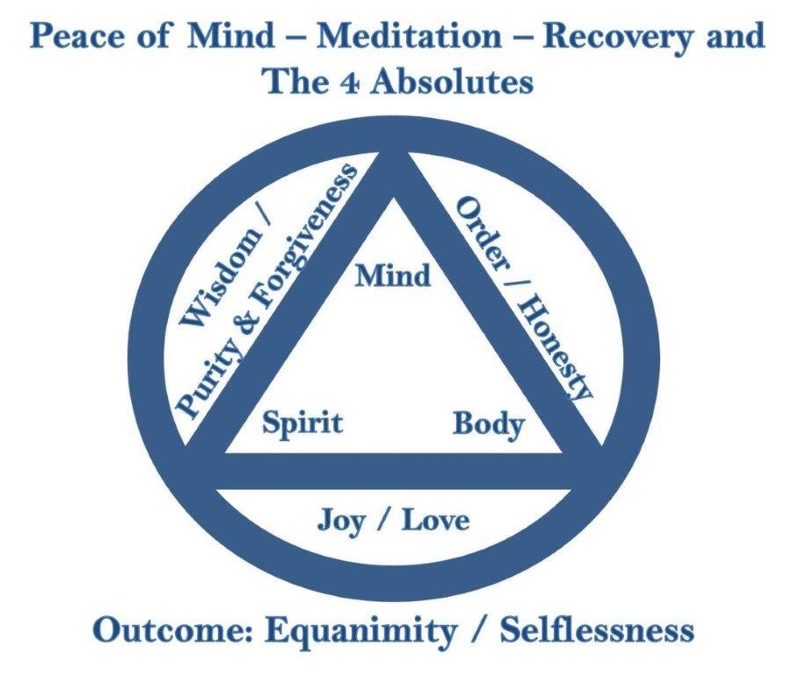 The benefits of meditation also can be applied using the 4 Absolutes. 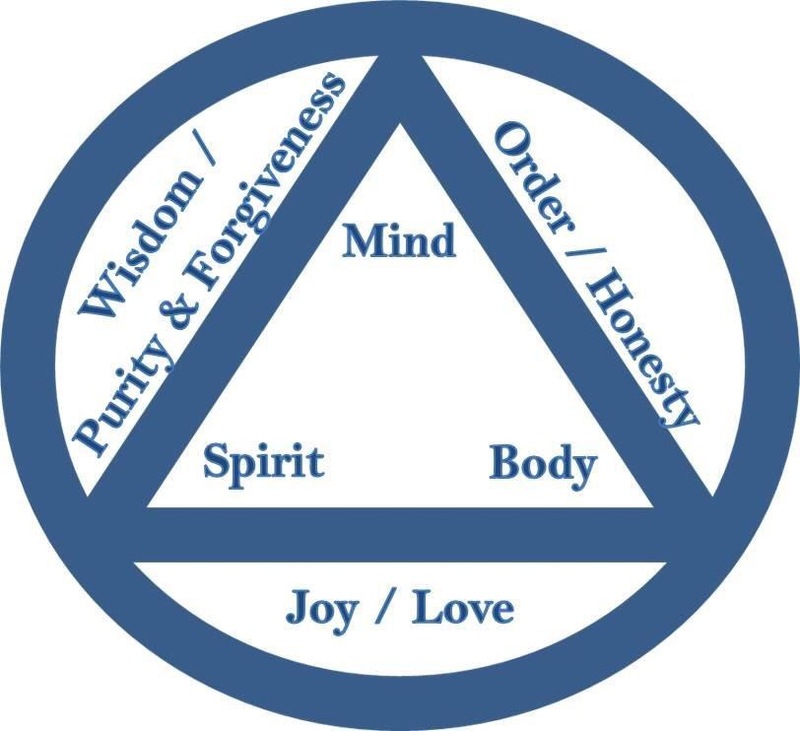 When the mind and spirit are in balance, the outcome is wisdom, which corresponds to purity and/or forgiveness. When the mind and body are in balance, the outcome is order, which corresponds to honesty. When the body and spirit are in balance, the outcome is joy, which corresponds to love. When all 3 are in balance, the outcome is equanimity or selflessness. According to the recovery model as outlined in the AA Big Book, our core character defect is selfishness. The antidote is to become other-centered or selfless. Recovery is about thinking less often about ourselves and being of service to others. Steps 10 and 11 is where we practice doing a daily inventory, together with prayer and meditation to improve our conscience contact with the God of our understanding. Step 12 is where we carry the message to those who still suffer, and practice these principles in all our affairs. Program is a beautiful and simple design for living.